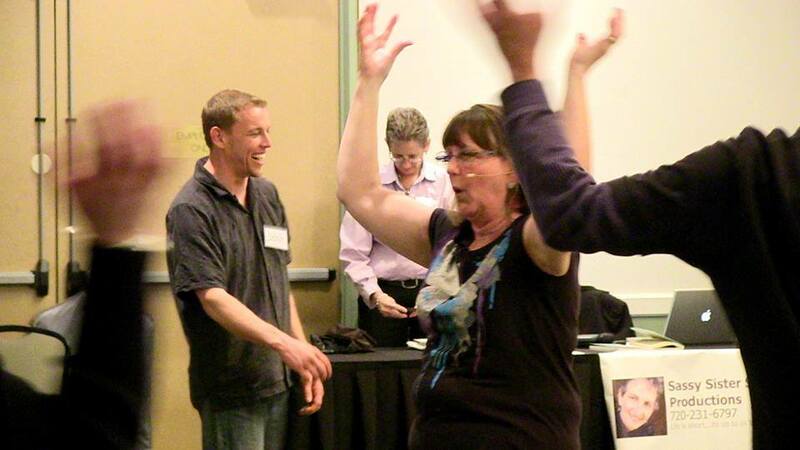 Experience the benefits of Laughter Wellness by combining breathing, laughter, integrative movement, and positive choice. Learn simple Laughter Wellness practices that can be easily applied in daily life and give immediate results. Experience the power of choice in the present moment. laughter, breathing, movement and positive reinforcement. The Laughter Labyrinth is a combination of two powerful, yet simple meditations... walking and laughing. The basis of meditation is to connect mind and body through breath and presence. Adding elements of movement, sound, and rhythm with walking and laughter invites ease and joy in the practice. Ease and joy attract continuity, inspires a sense of fulfillment and encourages connection. The walking pattern intentionally switches left to right allowing the brain to let go of trying to figure out what to do and instead relax into being present with each step. There is only one way to the center, no wrong turns or dead ends... it reflects a paradigm of living in trust verses fear. It becomes a portal for releasing difficulty, receiving insight and then returning into the world anew. This three-part process can be intentionally practiced within a group or a personal experience. Sunday May 5th- World Laughter Day, 10 am-11am Fossil Creek Park, meet at the shelter near the Lemay Parking lot.